Sensational dancer & Television personality Sapna Choudhary now up to showcase her acting skills with new coming film ‘Dosti Ke Side Effects’. 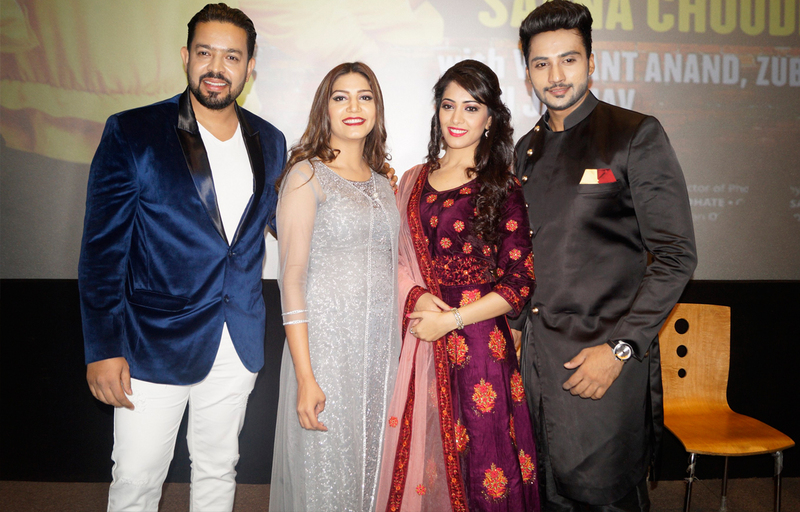 As recently Sapna along with the cast of the movie witnessed at Film Division Auditorium, Delhi for the launch of the trailer. Present in the event was director of the film Hadi Ali Abar, lead actor Zuber Khan, Vikrant Anand and actress Anju Jadhav. As Sapna will be seen portraying the lead character, therefore she interacted with Delhi media and shared her views and experience. Featured under the banner of Share Happiness Films. The film also star Sai Ballal and Vaishnavi Mahant. Shot in various locations in Mumbai including Film City, ‘Dosti Ke Side Effects’ slated to release on February 8, 2019.